The case studies below outline some of the scenarios which the Brexit Loan scheme could help address. These case studies will be updated according as the scheme is rolled out and the SBCI gains further insight into the types of businesses impacted by Brexit and how the scheme can assist them in dealing with the challenges presented. A distribution sector enterprise based in the Midlands of Ireland which is five years in operation, with 20 employees seeking finance to improve its processes and organisational effectiveness. This scaling SME needs to improve its delivery service to provide live tracking of orders and accurate delivery times to their client base.  They wish to invest €100,000 for the purchase and development of new software, tailored to meet the specific innovative requirements of this developing enterprise. This will improve both their service and delivery processes and lead to both better inventory and working capital management. They wish to repay this financing over 3 years but have limited collateral to offer due to other financing security commitments. This enterprise is considered viable but needs credit to develop its evolving business model. This enterprise may find it difficult to raise the necessary finance as they may not meet the Finance provider’s normal credit policy requirements. The SBCI Brexit Loan Scheme could enable the enterprise to finance this improvement to their process and service by the provision of an 80% SBCI guarantee supported by Innovfin to a Brexit Loan scheme participating lender. The enterprise must meet the on-lender’s credit criteria for the loan. NB – the InnovFin qualifier must be confirmed by the applicant enterprise and evidenced appropriately in their business plan. A long-established food manufacturer based in Wexford (South East Ireland) which is 30 years in operation with 100 employees is seeking finance for product differentiation and marketing to expand its market. This well-established enterprise operating in a low margin competitive sector needs to update its packaging and remarket its products to potentially capture new customers in overseas markets. This will involve a redesign of the labelling and packaging and translation of key information into several languages. The enterprise estimates this will cost €25,000 and they wish to repay a financing facility over a two-year timeframe. The SBCI Brexit Loan Scheme could enable the enterprise to finance this improvement to their process and service by the provision of an 80% SBCI guarantee supported by Innovfin to a Brexit Loan scheme participating lender. The enterprise must also meet the lender’s credit policy criteria for the loan. An engineering company based in Dublin operating for the last 6 years with 150 employees now wishes to obtain finance for Organisational improvement and adoption of new management techniques to enhance its efficiency and effectiveness in addressing potential new customer markets. This engineering company has seen strong growth over the last three years; however, the management are struggling to keep control of the financial and operational aspects of the business. Potential complexities from changes that Brexit may introduce into their business model are also causing operational and control issues. The business needs to invest €75,000 to put improvements in their organisational structure and workflow modelling to allow greater management oversight and visibility into both work flow and cash flow monitoring. The company will develop a bespoke web based management tool to capture project progress in real time and update the underlying key performance indicators to enable management to control increased levels of activity. They wish to repay over 3 years with a moratorium on principle repayments for nine months. The SBCI Brexit Loan Scheme could enable the enterprise to finance this improvement to their process and service by the provision of an 80% SBCI guarantee supported by Innovfin to a scheme participating on- lender. The enterprise will spend at least 80% of the transaction on innovation activities by utilising software to streamline enterprise wide project control. i.e. organisational improvement and adoption of new management techniques. NB –the criterion must be confirmed by the applicant enterprise and evidenced appropriately in their business plan. A Web design company based in Galway (western Ireland) in operation 5 years with 7 employees now seeks financing for the registration of technology right and enablement of this technology. This technology based enterprise has patented an innovative design tool in the last six months and now requires further working capital to market and develop further uses for the application. The estimated cost of the product development and rollout is €650,000 and they wish to repay over three years with a one year capital moratorium. The enterprise has very little collateral to offer given the knowledge based nature of their business. The SBCI Brexit Loan Scheme could enable the enterprise to finance this improvement to their process and service by the provision of an 80% SBCI guarantee supported by Innovfin to a Brexit Loan scheme participating lender. The enterprise must also meet the lender’s credit criteria for the loan. The enterprise is a research and development and/or innovation driven enterprise and has registered at least one technology right in the last 24 months and the purpose of the borrowing is to enable use of this technology? NB – the criterion must be confirmed by the applicant enterprise and evidenced appropriately both by evidence of the registration of the technology right and in their business plan. An established furniture design and manufacturing business based in Donegal (North West Ireland) with 50 employees is seeking funding to redesign its production and marketing processes to cope with planned new ranges of furniture designs. This traditional furniture business needs to redesign and modernise its production and marketing processes to cope with new and innovative designs aimed at a younger and more design conscious customer base. This will involve not just changes in production methods but also in the marketing and presentation of the company product range across multiple platforms. This is a new departure for this traditional business and will stretch the organisational capacity of the business as they develop new markets for their product range. The estimated cost of implementing innovative new product development, manufacturing and marketing initiatives is €60,000 and they wish to repay over three years. The enterprise will spend at least 80% of the transaction on innovation activities i.e. product development, differentiation and marketing.